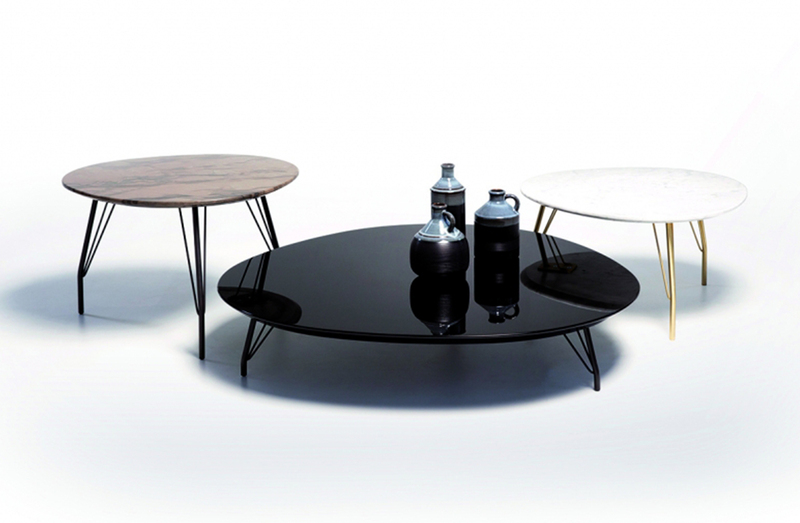 Coffee table collection with legs in brass, burnished, or copper finish. Top surface in high gloss lacquer, or marble. Each diameter is available to order in a choice of three heights.